We asked her a few questions as well – a la “Inside the Actors Studio.” She left out a few things like her affinity for canines, and her not only being an accomplished dancer and actor, but also gracing the opera stage! Cramer = Carmen? I think so. Lyn’s responses are in bold. What was your first job? My dance teacher gave me my first tap class to teach at age 13. That was the beginning of it all. What profession other than your own would you like to attempt? I have aged out now, but I always wanted to work for The National Forest Service as a park ranger. More age appropriate, my dream is to become a Sommelier in Oregon. Cramer’s Fun Home program bio reads: LYN CRAMER (Alison) – AT LYRIC: Assassins, Boeing Boeing, Billy Elliot, Urinetown, The Drowsy Chaperone, Big Fish, Dreamgirls, Little Mermaid, The Will Rogers Follies, Hairspray, 42nd St., Bye Bye Birdie, Smokey Joe’s Café, Five Guys Named Moe, Cabaret, Singing in the Rain, The Best Little Whorehouse in Texas, Aida, Dames At Sea, Swing, Grease, Joseph and the Amazing Technicolor Dreamcoat. REGIONAL THEATRE: Dirty Rotten Scoundrels, Cats, Thoroughly Modern Millie, Secret Garden, The Full Monty, My Fair Lady, How To Succeed. OTHER THEATRE: A Chorus Line, La Cage Aux Folles, Curtains, On The Town, Sweet Charity, Company, My One and Only, Rent. Endowed Professor of Musical Theatre – Dance at the University of Oklahoma. Author of Creating Musical Theatre: Conversations with Broadway Directors and Choreographers. Director/Choreographer of Oklahoma City Philharmonic’s The Christmas Show. 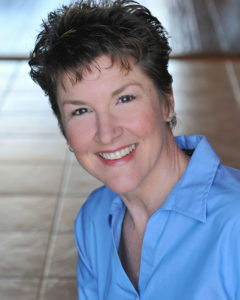 Lyn Cramer leads the cast of Fun Home at Lyric Theatre opening April 11th at Lyric at the Plaza. Within the musical, the character of Alison Bechdel is portrayed by three actors. Alison, performed by Cramer, is the play’s narrator who reviews her family and early life; 19-year-old Medium Alison is a student discovering her sexuality; and, 10-year-old Small Alison is a child struggling against her father’s expectations. Every once in a while, a Broadway musical comes along that surprises, moves and excites audiences in ways only a truly landmark musical can. The “groundbreaking,” “exquisite” and “unforgettable” new musical Fun Home was the event of the Broadway season, receiving raves from critics and audiences alike, winning five 2015 Tony Awards® and making history along the way. Based on Alison Bechdel’s best-selling graphic memoir, Fun Home introduces us to Alison at three different ages as she explores and unravels the many mysteries of her childhood. A refreshingly honest musical about seeing your parents through grown-up eyes. This musical contains adult content and is for mature audiences only. Tickets start at only $25! Click here for your seats today!